If you haven't got a wireless router in your home and you don't have a PS3 that you can use to access the PlayStation Store, you might think you're out of luck as far as downloading content for your PSP from the PlayStation Network. If you do have a PC with an internet connection, you can download games, demos and other content from the PlayStation Store for PC and sync it to your PSP. It's easy. Here are 9 steps to making it happen. If you haven't already done so, download and install Sony Media Go for PSP. If you need help, see this tutorial for instructions and tips. Make sure you have plenty of room for your downloads on your PSP memory stick. Turn on your PSP, plug it into your PC with a USB cable, and activate the USB connection by scrolling to the "Settings" menu on your PSP and selecting "USB Connection." 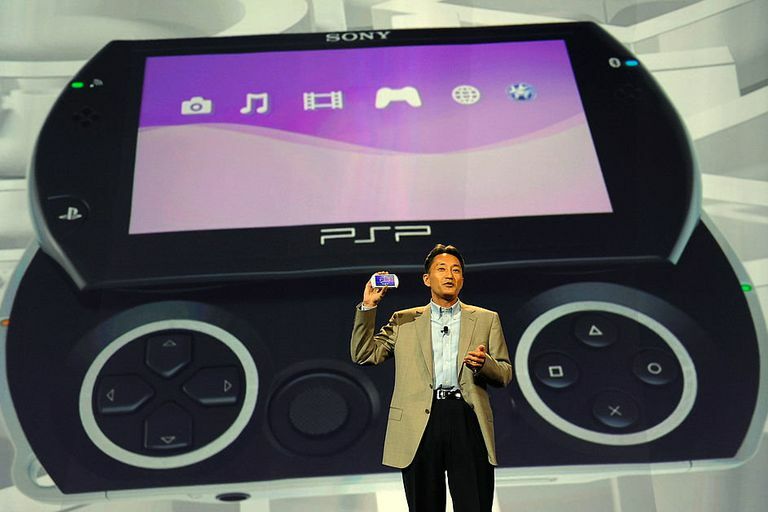 Make sure your PC is connected to the internet and launch Sony Media Go for PSP. If this is the first time you've started up Media Go, it will run through the setup process and then take you to the PlayStation Store. If you have run Media Go before, launch it, click on the PlayStation store icon to go to the store. Navigate the store by clicking on the categories until you find a game, demo, video or other content you wish to download. If you have not used the PlayStation Store for PC before, you will need to log in or create an account. (See Tip 1 below.) If you have used the Store before, you'll still need to log in. Once logged in, you'll probably have to find your item again and click the "download" button again. (See Tips 2 and 3 below.) Your selected item(s) will then download to your PSP. When your download is complete, disconnect your PSP and navigate to the new content. Enjoy! If you already have a PlayStation Network account set up on your PS3 or PSP, use the same login info when accessing the PlayStation Store for PC; otherwise, follow the instructions to create a new account. When you click "download" on an item, you can choose to download it immediately or add it to your cart so that you can select multiple items and then download them all in one go. When you click to download an item you may be prompted to download an updated version of the PlayStation Network Downloader. Download that and then restart your PC and relaunch Media Go again and click on the PS Store icon to return to the store. Find your download and click "download" (again!). You cannot view PlayStation Store content on your PC. It can only be used on your PSP. You cannot download PlayStation Store items only to your PC. You must have a PSP connected to your PC, with a memory stick in the PSP that has enough free space for your download.